Get excited, The West Wing fans! The cast of the iconic show is finally reuniting this summer. While a The West Wing reunion special might not be making its way to our television screens, yet, the show’s cast will reunite at the ATX Television Festival this June. The festival, set to take place from June 9-12, will host a panel featuring cast members, Bradley Whitford, Dule Hill, Joshua Malina, Richard Siff and Janel Moloney, as well as creator Aaron Sorkin and director and executive producer Thomas Schlamme. The panel will also mark the 10th anniversary of the iconic NBC series’ finale. 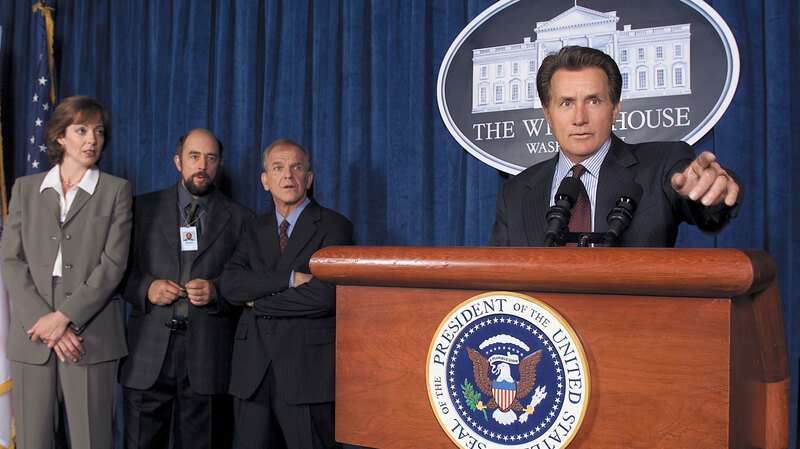 The West Wing ended in 2006 after 156 episodes and seven seasons. The West Wing isn’t the only series staging a reunion at the festival this year. The cast of Ugly Betty, including America Ferrera, Eric Mabius, Becki Newton, Michael Urie, Ashley Jensen, Ana Ortiz, Tony Plana, Mark Indelicato, Vanessa Williams and Rebecca Romijn will also reunite to mark the 10-year anniversary of the ABC series. Other panels set for this year’s ATX TV Festival include reunion panels for Everybody Loves Raymond, The O.C.’s writer’s room and State of Grace, as well as panels for Ferrera’s new comedy Superstore, Lifetime’s unREAL and Younger. At previous festivals, ATX staged reunions of Roswell, Everwood, Friday Night Lights and Gilmore Girls. The Gilmore Girls reunion in 2015 was basically the first step in the series’ Netflix revival. Could The West Wing see the same fate? We can only hope! If you can’t wait until June to get your The West Wing fix, you’re in luck! Malina, who is currently on Scandal and was on The West Wing for four seasons, recently launched a podcast dedicated to the show called The West Wing Weekly, which goes through the series episode by episode.